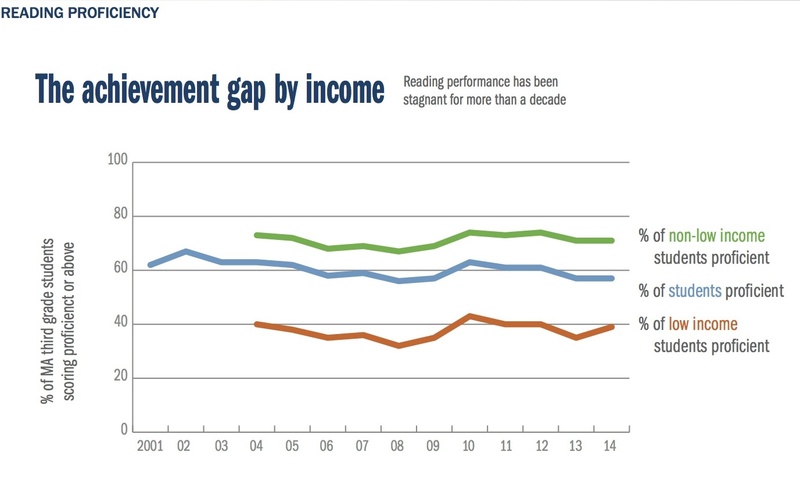 How is Massachusetts doing on third-grade reading proficiency? And how, specifically, are third graders in your community doing? Strategies for Children’s (SFC) newly updated infographics webpage make it easy to see how reading skills and achievement play out across the state. These images and graphs can be shared online or printed out and distributed at meetings. The data originates from the Department of Elementary and Secondary Education and can be explored in detail on the department’s website. As we blogged last month, scores on the MCAS (Massachusetts Comprehensive Assessment System) have been stagnant. Having facts and graphs in hand is especially important for parents, educators, and advocates now that the state’s Early Literacy Expert Panel is working on developing recommendations for Massachusetts. The more common understanding there is of the state’s literacy challenges, the easier it will be for communities to act on the panel’s recommendations and solve these problems. 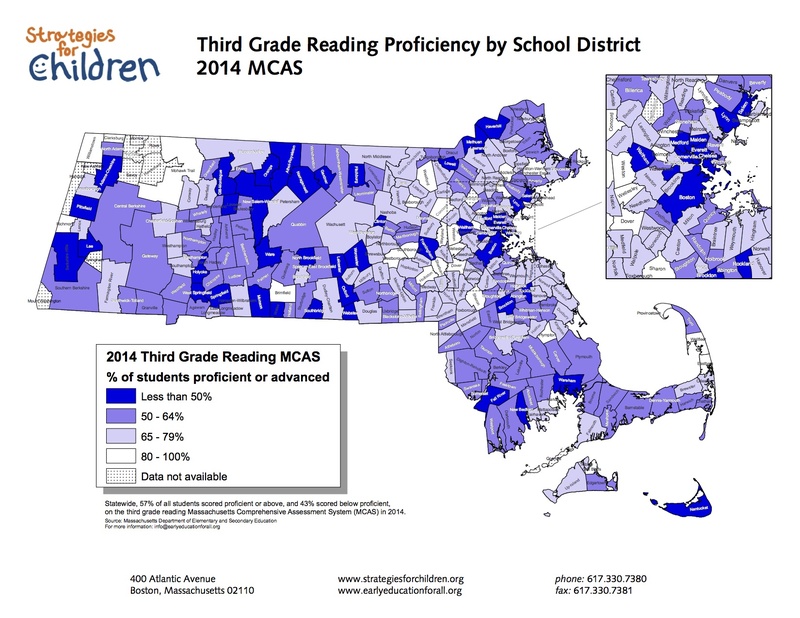 Our map of 2014 MCAS scores (above) shows the dozens of school districts where fewer than 50 percent of children read proficiently (scoring “proficient” or “advanced”). From Pittsfield to Framingham to Haverhill, these cities are marked in navy blue. We’ve graphed the achievement gap in third grade reading over time. The latest data show that statewide 39 percent of students from low-income families are proficient in reading, compared to 71 percent of their more affluent “non low-income” peers. This gap has stayed consistent for the past ten years. 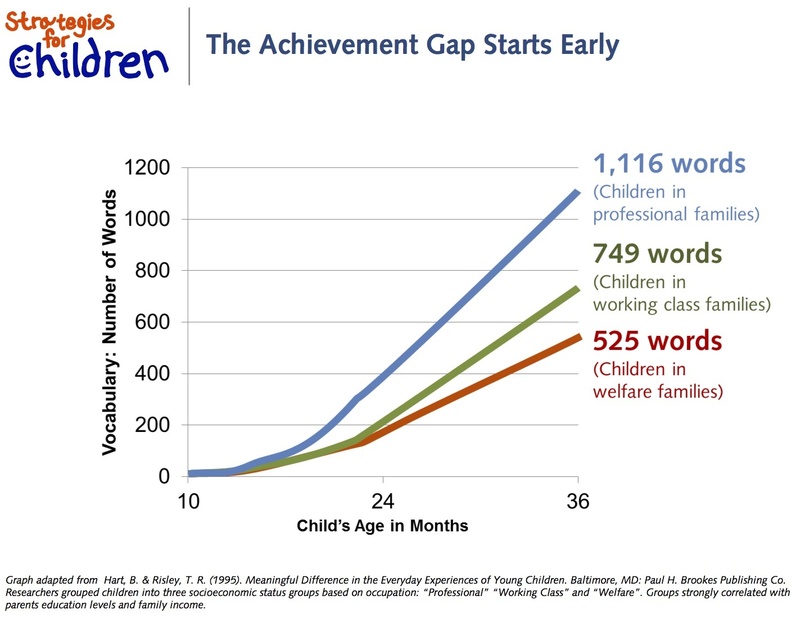 And our website features a graph from the often cited “Hart & Risley” word gap study, showing the early gaps in the number of words that children know at ages 2 and 3. Our interactive Fast Facts webpage provides data and information on all 351 Massachusetts cities and towns, and a comparison to statewide outcomes in a number of areas including: reading proficiency, high school graduation, and poverty rates. 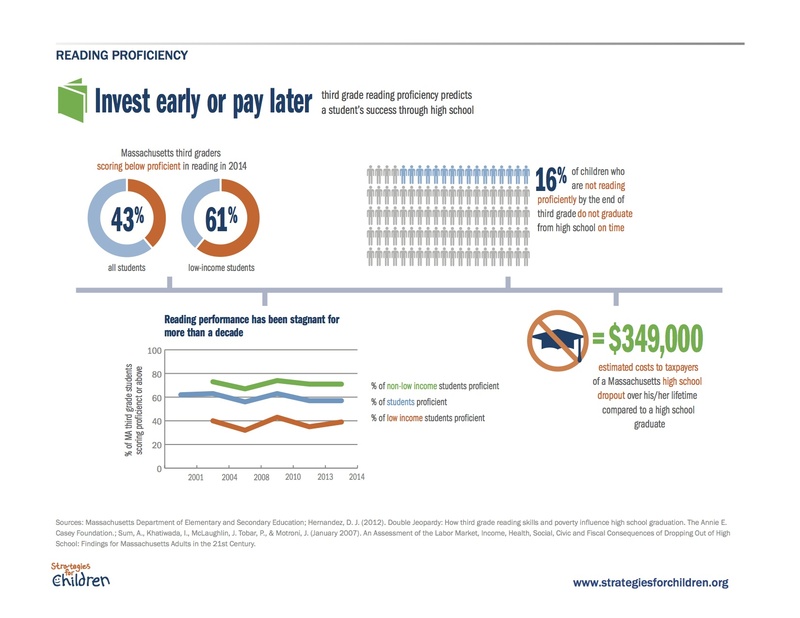 And the Pay Now or Pay Later infographics help make it clear that investing in literacy when children are young is far more cost effective than grappling with poor academic, economic, and social outcomes later in these children’s lives.